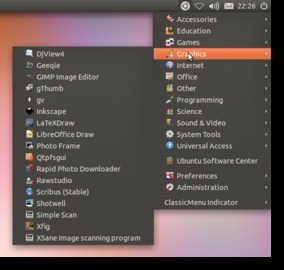 As you may know, ClassicMenu Indicator is a notification area applet that displays classic GNOME-style application menu on top panel of Unity Desktop. While the PPA repository is not available for Ubuntu 13.10 Saucy Salamander, you can directly download and install the Deb from its official website. Here I’ll tell you how to do it! Once installed, you can open it from Unity Dash. That’s it!